Marie McFeely (BA Hons – History of Art & English (UCD), Dip Arts Admin & Cultural Studies (UCD), Dip. Management Studies (DBS), Images & Licensing Officer at the National Gallery of Ireland manages Intellectual Property (IP) of the National Gallery’s art collection, the Picture Library and commercial filming. Marie set up the first commercial images e-commerce website in the Irish cultural sector www.nationalgalleryimages.ie in 2014 and this site had evolved continuously with technology advancements. The National Gallery will be unveiling a new improved and updated version in early 2018 with cutting edge design, functionality and services. She served on the Executive of the Museums Copyright Group (UK) 2004-2007 with colleagues from Tate, National Gallery, British Museum, National Portrait Gallery and others. She is on the steering groups for both IP and Digital Media at the National Gallery. She is an active trainer and lobbyist on IP matters within the museum community, has worked as a copyright consultant to the C.N.C.I.as well as other arts organisations and submitted reports on Copyright and Related Rights to Government on behalf of the National Gallery and others. She has written an Intellectual Property Policy and Public Photography Policy, for the National Gallery and drafts all agreements both internally and externally relating to IP matters. 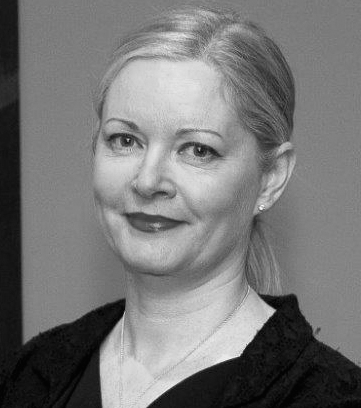 She works extensively with artists and their estates, solicitors specialising in copyright and artists’ rights agencies such as IVARO.